Kratom's effects can be compared to a mild form of opium, thanks to its medicinal and psychoactive operation. Improve your mood, get an energy-boost and receive that euphoric feeling with Kratom! Kratom is a mild form of opium. Are you looking for more energy and a better mood? Then Kratom is really something for you! 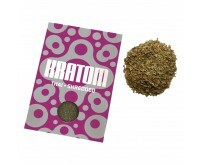 Dutch-Headshop has a total of six products containing Kratom. Kratom comes from the rainforests of Southeast Asia. Kratom is present in a large tree species, the Mitragyna speciosa and can grow about 15 meters tall. In the past it was also used in some Asian dishes, but that ended when Kratom was banned in Thailand. Kratom's effects can be compared to those of opium. The difference is that Kratom is not as strong as opium. Kratom gives an energy boost and a euphoric feeling. It also improves your mood and state of mind. You can feel Kratom already after five or ten minutes after ingestion. The effect will last for several hours. Kratom can be consumed in different ways. You can chew it, mix it through tea of juice and drip it below the tongue. Various products are available. All Kratom products are shown below. 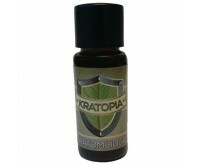 Kratom Liquid and Fenix Black (Bali Kratom Liquid Extract) are liquids and only suitable for dripping below the tongue. Blackadder, Kratom Extract Bali 15X and Kratom Extract Thai 15X should be mixed with tea or fruit juice. Cut Kratom Leaves Thai can be mixed with tea or fruit juice, though they can also be eaten. Store Kratom products in a cool and dark place. 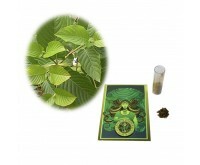 You would like to experience the Kratom's magnificent effects? Order you favorite Kratom product at the Dutch-Headshop right away!